Do you ring up the sale and send them on their way? Or do you try to find opportunities to increase their basket size? If you picked the first answer, chances are you’re leaving a lot of money on the table and need to think about how you can increase add-on sales. Two of the best ways to do this is through upselling and cross-selling. Just to get our definitions straight, cross-selling means recommending a product relevant to the one that’s already in their basket. An example would be recommending a matching wallet to a purse that the shopper is buying. Upselling, on the other hand, means offering a pricier version of the item. Think of it as asking the shopper if they want to upgrade their purchase. Done right, both tactics enable you to increase sales while helping customers at the same time. The key to upselling or cross-selling success is doing it properly and at the right time and place. If you upsell a product that’s irrelevant or if you’re selling in such a way that you’re coming off as pushy, then you’ll not only fail to convert the customer, but you might even lose the original sale. Sometimes, an add-on item may complement another product, but it won’t benefit the customer. For example, while a certain type of lens may go with that camera your customer just bought, it wouldn’t be a good cross-sell if they don’t have a need for it. Get to know the customer before selling them more merchandise. Ask how they’re going to use the product, then if you have items that would benefit them, go ahead bring them up. If the customer has made it clear that they’re on a budget or they’re only after one product, then respect their wishes and don’t try to sell them anything else. You might send them packing if you insist on upselling or cross-selling. If you answered “Yes” to all three questions, then you can proceed to suggest upgrades or additional products. And to help you close more sales, here are some proven pointers you can incorporate into your strategy. Listing out features or specs rarely seals the deal in sales. This is because the human mind is more responsive toward stories or images. To effectively upsell or cross-sell something, you need to make people see the value or benefit of the purchase. If you’re an apparel retailer, and you’re cross-selling items that would go with the piece that a customer is buying, why not show them real outfits that showcase the different items? One retailer that does this well is Red Dress Boutique. Their product pages have a “Complete Your Look” section that displays all the other items that the model is wearing. In some cases, shoppers don’t have to literally see value in order to make a purchase decision. You can enable them to picture or imagine certain benefits by telling stories. For instance, many computer and electronics shops are able to sell extended warranties or insurance because they can vividly illustrate a situation in which such purchases would come in handy. The associate could tell the story of the guy who accidentally dropped their phone and had to shell out hundreds of dollars to fix it because he didn’t have insurance. In doing so, the retailer is making the customer see (in their mind’s eye) the benefits of purchasing insurance or extended warranties. Consider applying this strategy in your store. Be more vivid with how you sell your products using stories or real-life examples. When you’re upselling, see if you can apply the “Rule of 3” in your efforts. This means giving the shopper 3 options for their purchase. Jennifer and Danila, the co-owners of Convey boutique in Toronto, call these three options the Requested, the Alternative, and the Dream. The Rule of 3 can also be applied in cross-selling. In Convey, for instance, Jennifer and Daniela try to ensure that customers walk into the fitting room with at least three items. They accomplish that by recommending products that complement what a shopper wants to try on. If a customer buys a $500 blazer, it makes sense to suggest a $50 tie; but if a customer buys a $50 tie, don’t try to sell them a $500 blazer. The suggested item shouldn’t exceed more than a certain percentage of the cost of the original item. Some put this figure at 25%, while others have a different number. You’ll find what works for your customers. Instead of that blazer, how about a nice $20 set of brass collar stays? This can also be applied to upselling. Get a feel for what a person is looking for and how much they’re willing to spend before offering the most premium option. Consider what many airlines of doing. Many airlines offer upgrades but do so in certain increments. When someone books a trip in economy class, for instance, the airline may ask if they’d be interested in more legroom or in premium economy. What they don’t do is push the traveler to upgrade to first class. Giving away a reward or incentive can increase your upsell/cross-sell conversion rate. Consider what many ecommerce sites are doing. To encourage people to buy more, they often throw in free shipping if the shopper spends above a particular threshold. If you’re a brick-and-mortar store or if you’re not keen on giving away discounts when you upsell, perhaps you can incentivize shoppers with a free gift instead. Nordstrom, for example, is giving away a free Clinique moisturizer every time shoppers buys $55 worth of Clinique merchandise. While ending prices with the number 9 or 7 has proven to increase sales for some products, this tactic doesn’t always work when you’re upselling or cross-selling. Consumer psychologist and retail consultant Bruce D. Sanders says that whole numbers convert better when you’re suggesting an add-on sale for the first time. “It all comes down to a simple, though often-overlooked concept: It’s not just what you offer, it’s how you present it,” says Aron Ezra, CEO of OfferCraft, a software company that uses games and rewards to make offers and employee incentives more appealing. Instead of deciding to make an additional purchase, this customer is now asked to actively give up the tie, which he is more likely to feel bad about doing,” Ezra continues. Keep this in mind when you’re coming up with sales spiels and tactics. If a particular offer isn’t giving you great results, revise your approach and see how customers react. There’s more to upsells and cross-sells than just pitching add-on products. 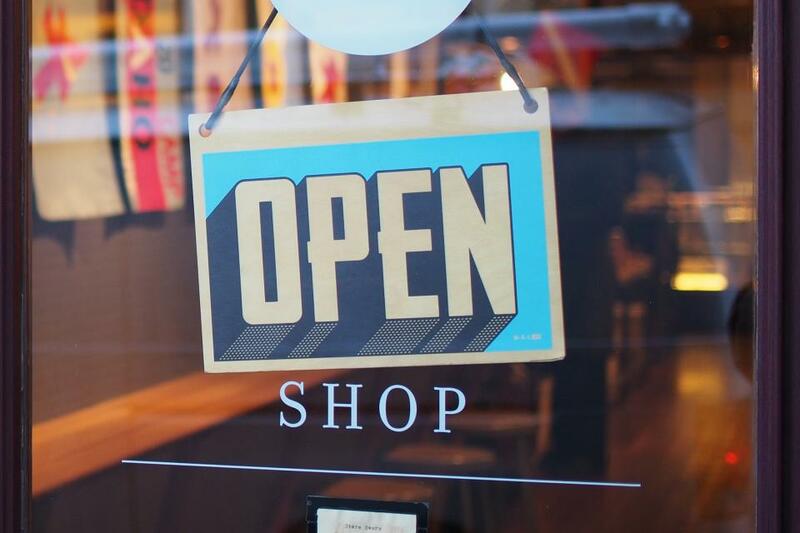 To successfully close sales, you need to get in the minds of shoppers. Figure out their needs and motivations, and then craft your approach accordingly.